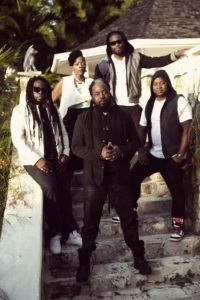 Morgan Heritage is one particular band that has seen the fruits of their labor with sold out shows, Billboard Chart-topping albums, constant radio air play and, now, a coveted Grammy Award win. Hard work, determination and having faith in their process has all been worthwhile for Morgan Heritage. Deemed one of the hardest working bands in the music industry, The Royal Family of Reggae, Morgan Heritage, hasn’t slowed down since winning the 2016 Grammy award for Best Reggae Album. The siblings have continued their worldwide touring, while recording music for their upcoming 2017 album to be released on their CTBC-Cool to be Conscious-Music Group label. Throughout their travels one thing has remained constant, music and the beauty of mother earth. It is from the latter that the inspiration of their first single since winning their coveted award was born. Produced by renowned musician and producer Phillip “Winta” James (Overstand Ent), “Selah” speaks of Morgan Heritage’s appreciation and discovery of earth. To support the single, the band treated fans and music lovers to breathtaking visuals filmed in Milan, Italy, and worldwide footage from their travels. Directed by Morgan Heritage, filmed by Emmy Lou Mai and edited by Maximilian Shelton, “Selah” premiered Tuesday, September 20th. Distributed by 21st Hapilos Digital, “Selah” will be purchasable on September 30th, and is available for pre-order on iTunes and all major online digital stores.